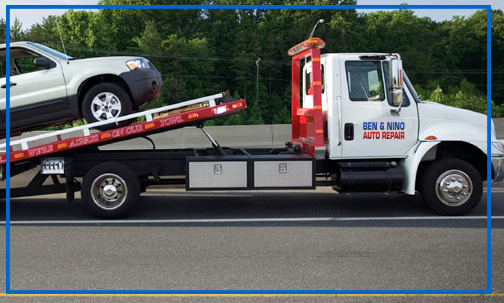 At Ben and Nino Auto Repair we specialize in 24/7 emergency towing services for car and truck owners in Brownsville Brooklyn and the surrounding New York area. We offer comprehensive service to take care of any roadside situation. From jumping your dead battery and changing your tire to unlocking your car, delivering a tank of gas, or removing a car from your blocked driveway, our licensed and certified drivers do it all. Whether your car breaks down early in the morning, late at night, or anytime on the weekend you can depend on a Ben and Nino Auto Repair driver to help you out. As soon as you contact us, we send a truck out with all tools and equipment necessary to help you on site. You don’t have to stay stranded for long with our reliable towing service. Ben and Nino Auto Repair drivers know how stressful breaking down on the side of the road can be. This is why we provide a smooth, headache free towing service that gets you back on the road as soon as possible. We arrive quickly on the site, get your car in tow, take it anywhere you need it to go in the Brownsville Brooklyn area, and then provide easy payment options. Our drivers are experienced, dependable, and friendly. No matter what type of service you need, we’re ready to help 24/7. 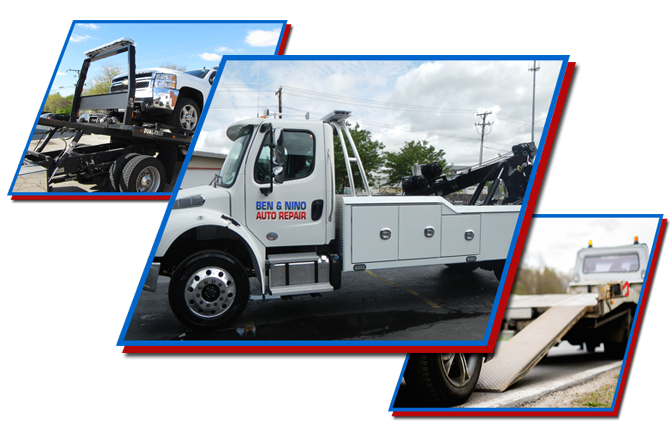 Whether you own a personal sedan or truck or have a commercial vehicle that needs to be repaired right away, Ben and Nino Auto Repair has a fleet of trucks of all sizes and towing capacities. Our drivers are well trained and have the skill to tow any type of auto transport safely and with no dents or scratches. If you need fast, dependable towing service in the Brownsville Brooklyn area, then contact Ben and Nino Auto Repair at (718) 339-8500 or message us at benninoauto@aol.com.